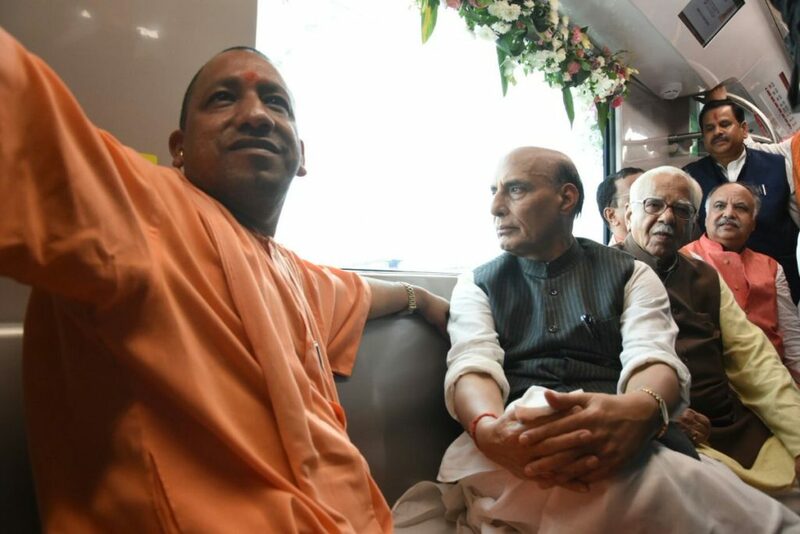 LUCKNOW: On Tuesday, Home Minister Rajnath Singh along with the Chief Minister of Uttar Pradesh Yogi Adityanath inaugurated the much awaited Lucknow Metro rail at the Transport Nagar railway station. The commercial operation for the metro rail is going to start from today. 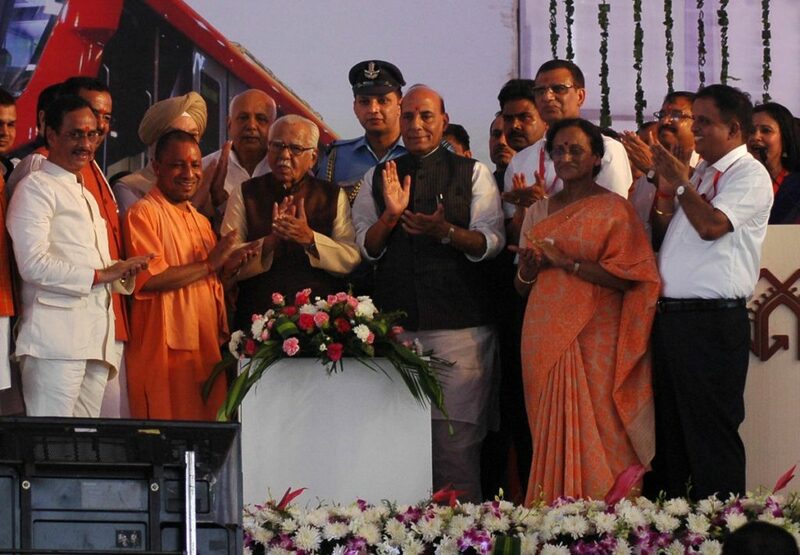 Adityanath assured that the work on the other phases of the Lucknow Metro project would be completed at the earliest. He also thanked Prime Minister Narendra Modi for facilitating a loan from the European Investment Bank for the project. 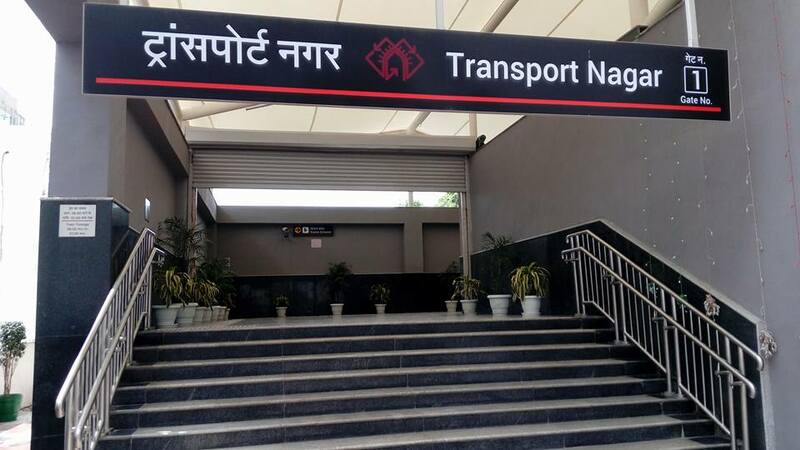 On the Detailed Project Report (DPR) for Similar Projects in UP, he said that the reports have been submitted to the Union government and metro rail services will be soon available to the residents of Kanpur, Varanasi and Jhansi besides other places. “It is just the start. 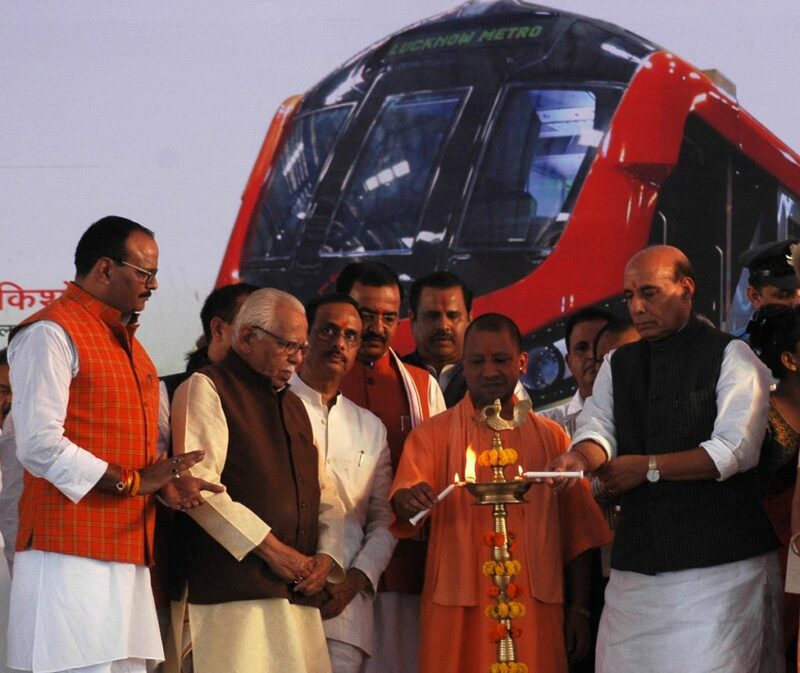 I wish to flag off metro in other cities including Varanasi, Gorakhpur, Kanpur also,” said UP CM Yogi Adityanath in the inauguration ceremony of Lucknow Metro. Yogi Adityanath assured of setting up Uttar Pradesh Metro Corporation instead of setting Metro Corporation for particular cities. “I would like to give the responsibility of UP Metro Corporation to Sreedharan as chief advisor and MD Keshav Kumar as advisor.” he said. 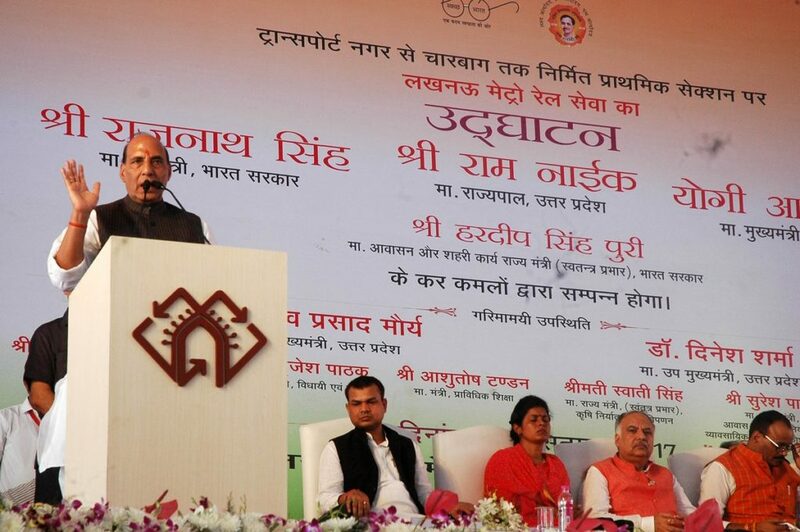 He called Lucknow, ‘Metro Ka Shehar’ and it will bring new opportunities for the city. Rajnath Singh listed some upcoming projects in the city for infrastructure development mentioning 7 flyovers and four new rail tracks. 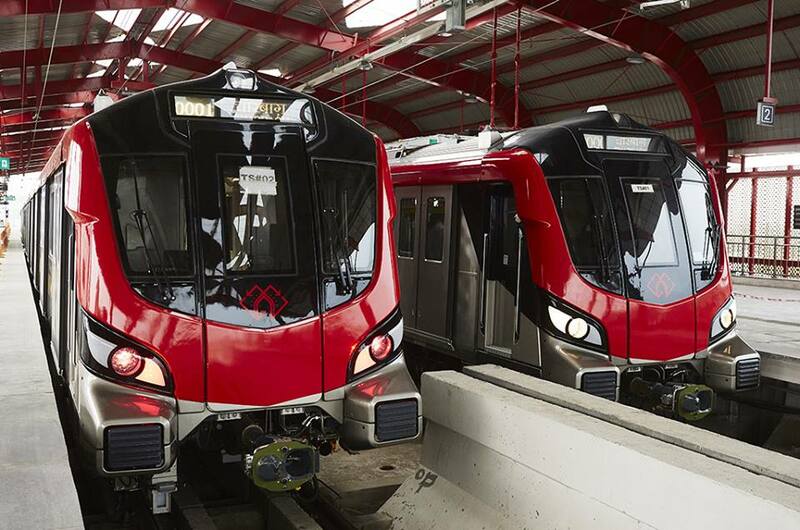 Both the phases of Lucknow metro project is set to cost the exchequer Rs 12,422 Crore out of which Rs 6,928 crore is for the first corridor and Rs 5,494 crore for the second corridor. Five trains will run between Transport Nagar and Charbagh stations, in the first phase. Timings of Operation : From 6am to 10pm every day. For the persons using smart cards, there would be a 10 per cent discount on fares. 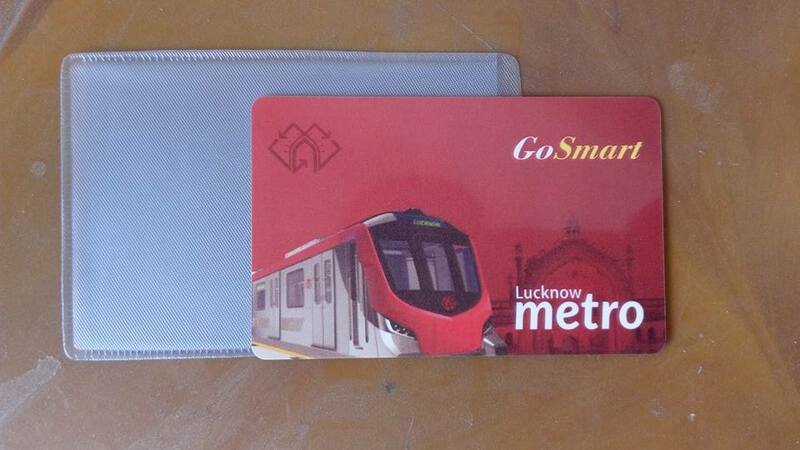 The security money of Rs 100 will be refunded on returning the Go Smart card at the metro counters. For the tourists, the Lucknow Metro will also issue “Tourist Cards” and they would be priced at Rs 200 for a day and Rs 350 for three days. Children up to three feet height will be able to travel free in the metro trains. The safety audit has already been completed. The LMRC has also launched its official website www.lmrcl.com, where the people can log in and find details about the timetable and other details about the fares among other things, an official said. The first phase of Lucknow Metro has been completed in a record 14 months, the fastest in India and the world till now. When completed, the Lucknow Metro system will be the fastest and most economical high speed rapid transit system in India. The front shape of the metro shows the spirit of the fabulous Roomi Gate, Bara-Imambara & Asifi Masjid. The exterior of the Train is a tribute to the cultural richness of the city. The black colour blending in front of car is inspired from modern feel of Hazaratganj. The train cars are energy efficient, reliable and better comfort to passengers in terms of riding quality, lower-noise level and environment friendly. The Body shell is made up of stainless steel and are lighter in weight. The trains are highly energy efficient with LED lighting and regenerative braking to feed the energy back to overhead electrical energy system during braking. The trains uses microprocessor based Train Control & Management System. The LED Screen inside trains is also in Urdu language in addition to Hindi & English. SEP 2008 : DMRC submits concept paper after the metro project is proposed by UP Government. FEB 2009 : Agreement signed between DMRC & LDA for the metro project. JUN 2009 : DMRC hired Bangalore Based Company studies the traffic pattern of Lucknow. JUN 2010 : DMRC submits the route alignment plan. AUG 2010 : DMRC presents the detailed route plan. DEC 2013 : The government of India, in principle, approves the project. FEB 2014 : Metro man E. Sreedharan appointed as chief adviser of Lucknow metro. JUL 2014 : Finance Minister Arun Jaitley, set aside Rs 100 Crore for the Metro Project. JUN 2017 : 5th train set arrives at Transport Nagar depot.